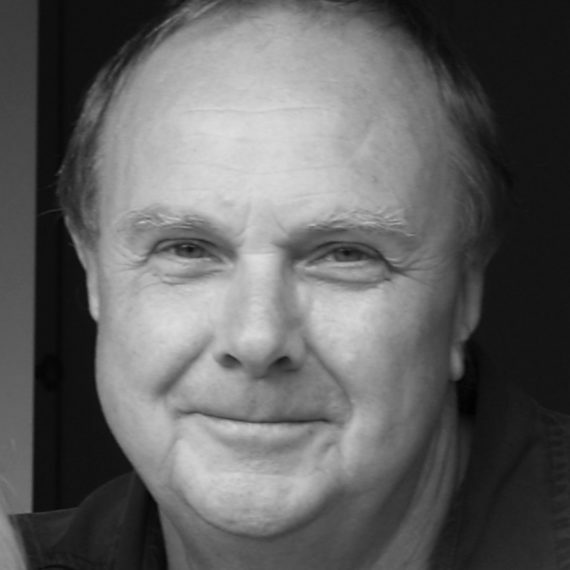 A former war reporter and international TV news correspondent, Derek Taylor now works as a writer and historian. He studied law and history at Oxford before joining ITN where he reported from Northern Ireland, Rome, South Africa and the United States, and became ITN’s first Middle East correspondent. There he covered five wars and spent seven months in Iran during the Islamic revolution – a time and place portrayed in the film Argo. 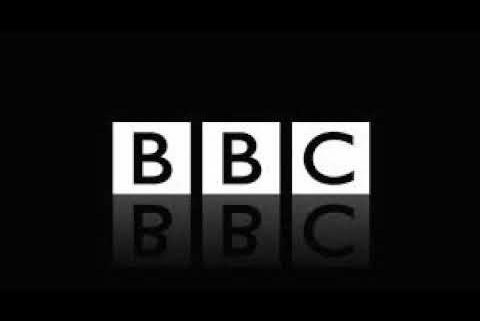 He went on to work for the BBC before becoming Chief Executive of the world’s biggest TV news agency, the American-owned Associated Press Television News. Now in retirement, Derek has returned to his first love: writing popular history books. In addition, Derek’s entertaining and informative style of public speaking has won him a wide range of invitations. He has given talks at the English Speaking Union in London, at the Dulwich Picture Gallery, on board the Queen Mary 2, P&O’s Oceana, and the Queen Victoria. 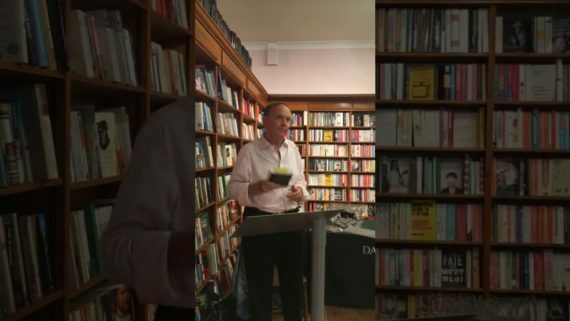 He has spoken at the USA’s largest book festival in New York, as well as the Brooklyn Law School, and at many local groups and societies in the UK. 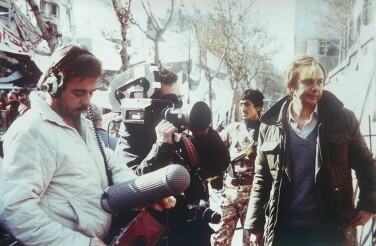 Derek reporting outside the US Embassy Tehran, 1979. The insults President Donald Trump and the American news media hurl at each other are nothing new. In Tudor England, printed papers branded the monarch a ‘horrible monster’ and were in turn accused of publishing ‘false fables’. Ever since the invention of the printing press, those in power have seen mass communication as a dangerous threat that usurps their ability to tell people what to think and is capable of stirring up discontent – or even rebellion. 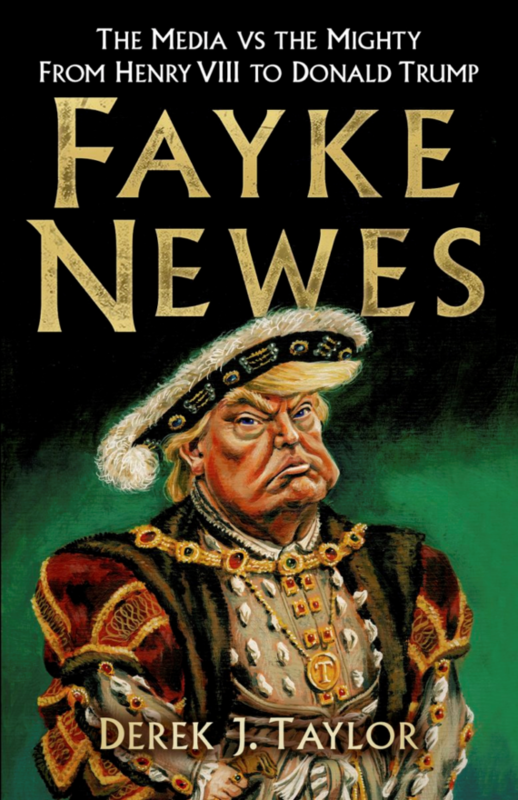 In Fayke Newes, historian and international journalist Derek Taylor tracks this long and bloody fight between the press and those in power, through the lives of the men and women who got caught up in the battle. On a journey through the centuries, we criss-cross the Atlantic between Britain and America and discover that neither governments nor journalists have always told the truth. The vote to take Britain out of the EU was mainly a vote by the English to take Britain out of the EU. The campaign itself was largely won with a simple slogan: ‘Let’s take back control.’ The subtext was, for better or worse, ‘We’ve lost our independence as a nation.’ That resonated with the English. But why? Perhaps it’s because the English have such a strong sense of their own identity and the contemporary phenomena of globalisation of commerce, European federalism and mass migration, having transformed the country, have brought questions of nationhood to the fore once again. The English sense of identity comes from a unique history. The country has not been invaded successfully since the Norman Conquest following the Battle of Hastings in 1066, and few other nations on earth can claim to have been so free from foreign interference or oppression for such a long period. 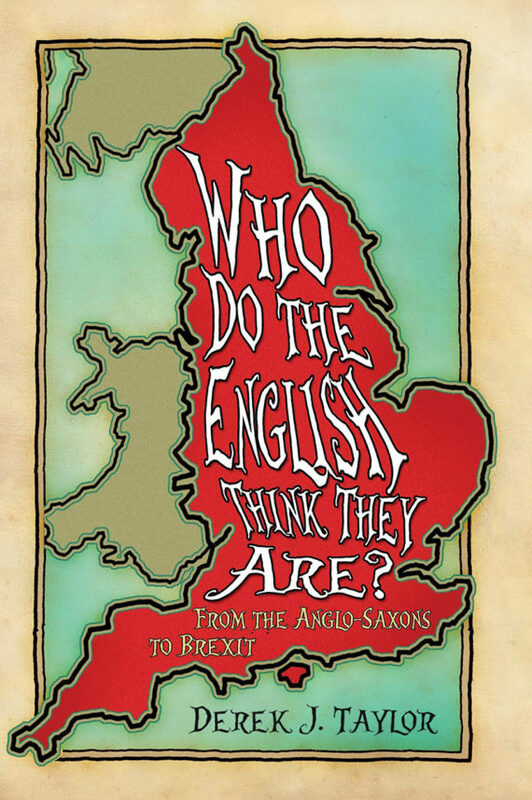 In this book, Derek Taylor explores what an English ‘identity’ might be, and examines some of the key sites that have created this sense of nationhood. Taking in a battle-field, a church, a slum, a pub, a warship, some remote islands, a racecourse, and several cities and villages, Who do the English Think They Are? tells the vivid tale of just how the English became English, and is essential reading at a time when Europe is re-evaluating its own complex identity. 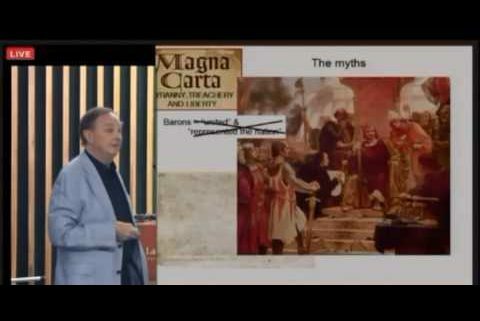 Magna Carta in Twenty Places is a journey that begins in one of the most exciting and influential periods in the Middle Ages and ends in the east coast of the United States in the twenty-first century. Coinciding with the 800th anniversary of the Great Charter in 2015, the book tells how the popular notions – that King John was an unredeemed tyrant, the barons champions of civil liberty, and Magna Carta an early guarantee of universal freedom – are essentially myths, honed throughout the ages as the story passed from generation to generation. The true story is much more intriguing than a simple fiction of good defeating evil. Here Derek Taylor tells all through twenty places associated with the Great Charter’s birth and extraordinary later history. In the course of the journey – through England, Wales, France and the USA – the reader can imagine the people who passed through those places along with their very personal, gripping tales. Furthermore, the book attempts to answer one of the mysteries about the Charter: why is it much more enthusiastically revered in America today than it is in the country of its origin? Myths can be powerful. The account of why and how this largely technical medieval document became an inspiration to those who’ve struggled over centuries to win democracy and freedom under the law reveals a great deal about our need for symbols and our inclination to believe what we want to believe. The book also turns up some surprising ironies. For example, the place where the Charter was sealed is probably now buried under a six-lane highway; Magna Carta might just as well be an inspiration for the Taleban as for civil rights campaigners as one of its clauses, conveniently now ignored, restricts women’s rights to bring legal cases; and if it hadn’t been for one plate of bad fish, no-one but a few medieval historians might ever have heard of Magna Carta. 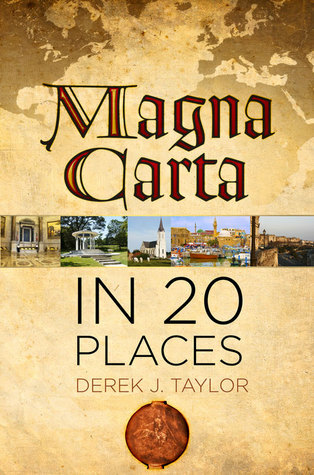 Magna Carta: in Twenty Places has a light touch, a direct style, is entertaining as well as informative and always maintains strict historical accuracy.